The title of this blog may be accused of clickbait but it underlines an important point: How will financial institutions engage with a new generation that takes the web, apps and algos for granted? Will financial advisors be swiped away to the left, like a spurned potential lover? After all, today’s consumers expect answers to any question in sixth-tenths of a second, music streamed to our specific moods and tastes, and products delivered overnight. Will the way we manage money shift just as much — and just as quickly? 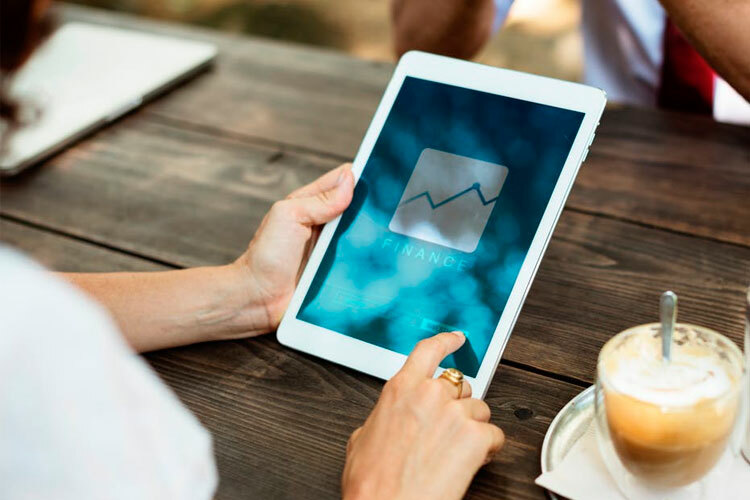 One of the challenges for automated investing is that the new generation of investors that will demand these tools are not yet able to invest huge sums. However, while millennials are debt-ridden and struggling to get on the housing ladder now, a structural shift is on the horizon. Today’s 20-to-35-year-olds are due to get a larger inheritance from their baby boomer parents than generations before them. And that’s just the start. According to a recent Resolution Foundation study: “The amount of money passed on through inheritance each year has doubled over the past two decades — and will more than double again over the next 20 years.” (A report on the study is at FT.com). Today’s young adults stand to inherit substantial wealth — and history suggests they will ditch their parent’s financial adviser with as little thought as deleting as a Snapchat face-swap. Around two-thirds of children in the US change family financial advisers after receiving an inheritance. A major challenge for financial institutions is how to hang on to this money. At a recent Financial Services Forum event, my co-panellist Sam Seaton, the CEO of Moneyhub, told a revealing story about her bank. Sam used to meet with her bank representative for tea once a quarter. Then the bank introduced tiered charges. She was going to be required to pay for the privilege of seeing the kind man. While she enjoyed the conversations, she was not willing to pay to meet. She opted for the bronze account. The bank misjudged the willingness of their customers to pay for the premium offering. Sam warned attendees at the event not to fall into the same trap. “Don’t assume you know what services your customers value and are willing to pay for,” she cautioned. It is vital to appreciate that customer expectations are set by their experiences with the other firms they interact with. You may not be competing directly with GAFA (Google, Apple, Facebook and Amazon) but your customer’s expectations are absolutely influenced by the technology giants. It’s worth watching the brilliant Louis CK interview on the subject of shifting customer expectations. Automated advice offers an opportunity to engage with the next generation of investors before they fire you. For some, this may mean 24/7 service, for others, hyper-personalised advice and for still others, it will be a way to reduce fees. Though the robo propositions that exist today are a work in progress, investing and experimenting are vital for firms that hope to remain relevant to the next generation of investors — and thrive amid disruption.